Bravo to Duke University for their excellent digital archive of twentieth century advertisements! 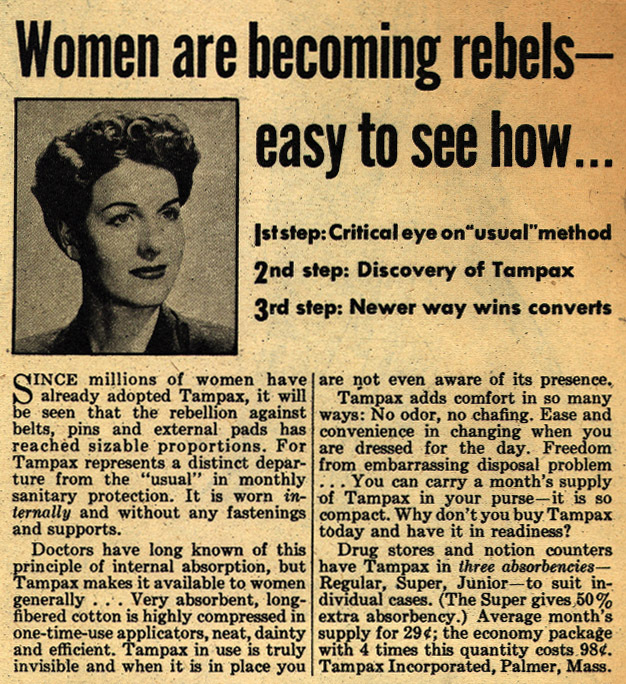 Although it didn’t help me to find any more Hoodoo and Conjure ads, they sure helped me feel better about being a woman. This entry was posted in Digital, Healing, Uncategorized and tagged advertisements, are you kidding me, tampon ads. Bookmark the permalink.